TBR Tools & Resources – Bridgestone Commercial Learning 10th Floor,Washington Square Park, NY, United States. Make an impact with a full tire program. 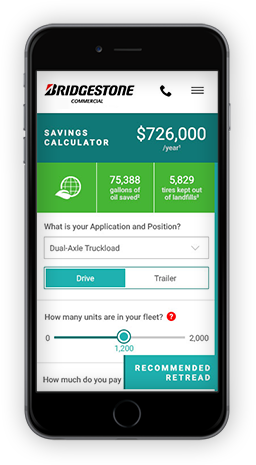 Revitalize your fleet and learn what you could save by partnering with Bridgestone and Bandag retreads.